San Diego County has more craft breweries that any other county in the United States, with 125 operating and 18 more planned, according to a new report. 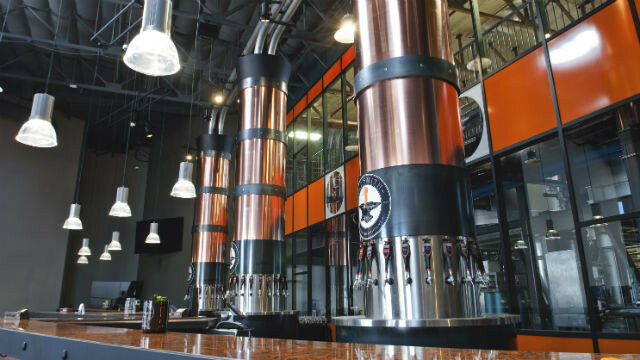 The real estate services firm Cushman & Wakefield said in its report that King County, WA, ranked second and Los Angeles County third in number of breweries. All of those breweries, plus brew pubs and related businesses, are helping transform older urban neighborhoods in San Diego and other cities, the report found. “Portland, Denver, Seattle and San Diego are just a few of the metropolitan areas where we have seen the strongest embrace of brewpub, microbrewery and regional brewery concepts,” according to the report. Cushman & Wakefield said these clusters of businesses help create what the report termed “cool streets” in older neighborhoods. “We define “cool street” markets as up-and-coming urban submarkets where shifting demographic trends—driven by strong millennial and empty-nester in-migration—have transformed often long-neglected neighborhoods into burgeoning alternative retail markets,” the report said.